Good Day! I would humbly like to ask for you advice regarding my house facing. Would my house be considered an NE1 house or NE2 house? 2.1. 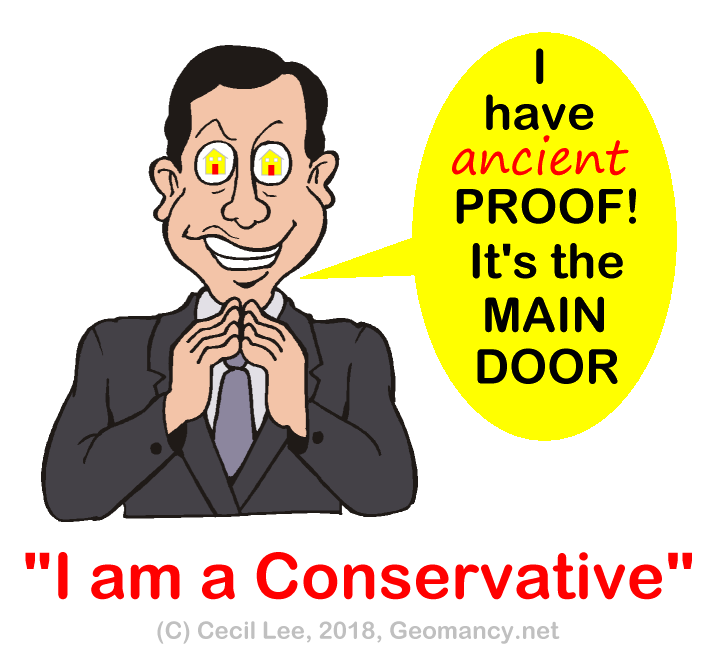 The Conservatives always reference their beliefs upon past practises or the key ingredient of their Feng Shui is based on one and only consideration: THE MAIN DOOR. And that all readings must be taken from the Main Door! 2.2. In general, the Conservatives practise what we call "Standing inside the main door looking outwards". For this reason, to the Conservatives says it is NE1 or 35 degrees. 2.3. Most of the time the Conservatives would feel good that they have "strictly followed" by the book. Cannot blame them right? Since ancient RESOURCES make reference to the Main door. 2.4 Another consideration is the saying: “Old habit dies hard”. Many Feng Shui Masters (FSM) keep on doing the same thing over and over again. So much so that it becomes a robotic routine. 2.5 Some FSM are too myopic or rigid. Can’t or refuse to listen to logic. For this reason, there will always be groups of Conservatives to replace them when they retire. 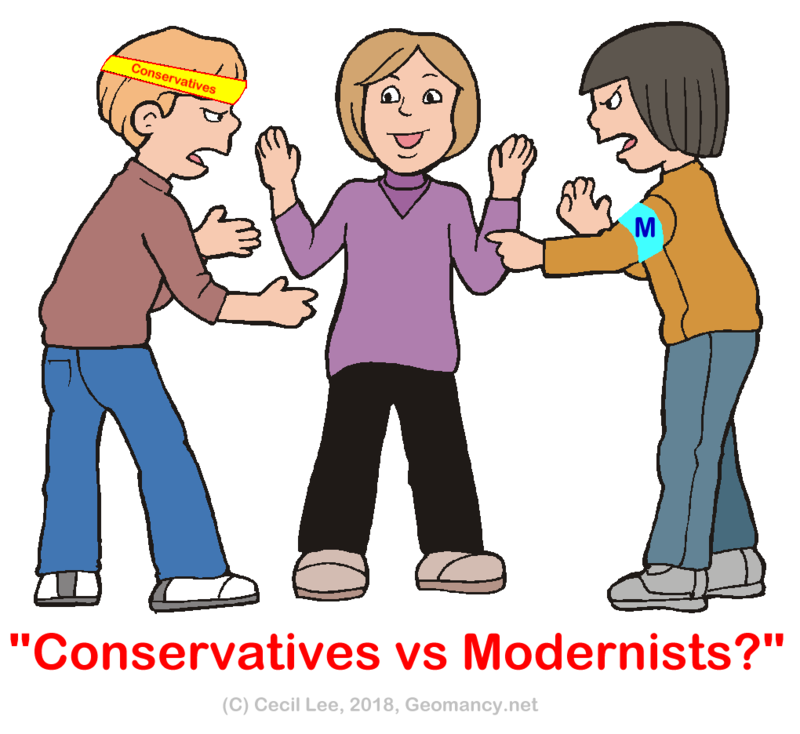 3.1 I dread to use the term Modernists for fear that it gives a pre-conceived idea that these group came out recently with new concepts or theories. Far from that as I will elaborate below. But for the open minded, do call this group the Modernist. 3.2. In general, this group of FSMs look at how the ancients would have written the description better knowing that there are more and more high rise buildings. 3.3. Many of these FSMs understood what the ancients meant even if they simply refer to "THE MAIN DOOR". What the ancients were also trying to say is that at that time the main door and the FRONTAGE of the home is one and the same". 3.4. In the past, when we walk towards a property, the main door or frontage is pretty prominent and "clear-cut". Many main door and frontage are grand "welcoming" areas. 3.5. What the Conservatives forgot was that at that time, other than pagodas or temples, many of the homes usually are one single level or the most two levels. These homes are much like the landed properties we see: terrace homes, semi-detached or bungalows. 3.6. In Singapore, majority of such homes are back to back with each other. Thus 90% of the time, the facing direction of such homes are those where one drive-up to the gate. And where the main door is. 3.7. The modernists would generally consider your property as NE2 or 46 degrees. 4. So who is right or wrong? 4.1. I can safely say that in the past, when the ancients mentioned taking a reading (standing inside the main door looking outwards); they referenced this to the main door. 4.2. The rationale is that such instructions were easier to be understood. Then the term "frontage". 5. I believe if they were aware that in today's modern world there are such things as high-rise apartments; If the ancients have known this, I believe they would have expanded their explanation and define the frontage may not always be the main door. 6. Is there any difference employing a FSM from say Taiwan or Malaysia vs those from Hong Kong or Singapore? 6.1. The year was 1970's onwards. 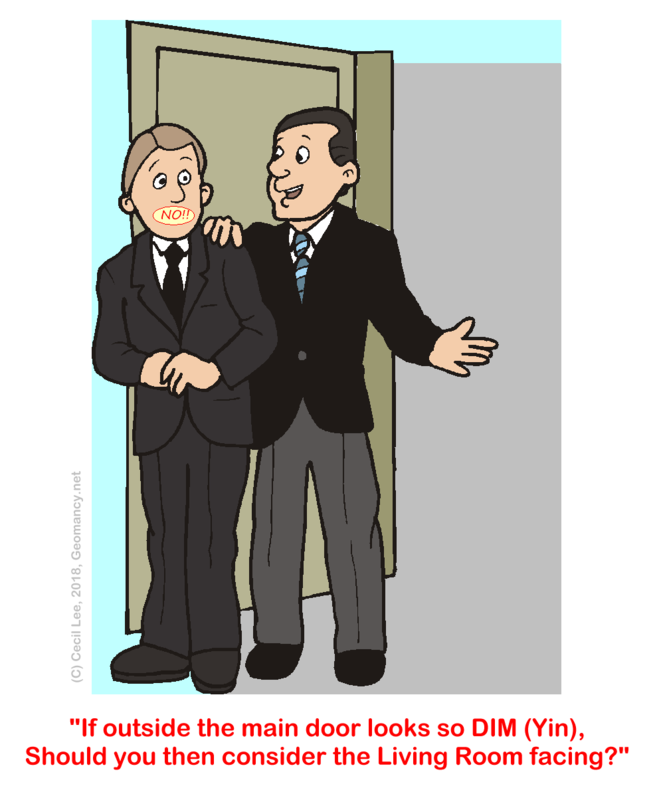 During that time, majority of FSMs from Taiwan or Malaysia would use the "Conservative" method: it's the main door! 6.2. The rationale was simple, the majority of homes in Taiwan or Malaysia up to even the 1990's were often landed properties. And these FSMs are so used to taking readings from the main door! 6.3. Thus if you asked a Master from Taiwan or Malaysia to come down to Singapore to Feng Shui a HDB flat, the person would instinctively take readings from the main door. 6.4. Today, even in Singapore or Hong Kong, some FSMs still follow this tradition. Here, these FSMs felt that they are comfortable with their perceived "backing" from the "ancient’s “Main Door” readings. 6.5 This conservatives indeed have "the proof!". And they feel good about following from "THE BIBLE" or holy grail of compass reading. 7. The emergence of the Modernists Feng Shui masters come mainly from two countries: Hong Kong and Singapore. 7.1. Yes! You guessed correct! Both have in common the rapid built up of high-rise buildings. 7.2. The thinking-logical Modernists FSMs than realise, that wait-a-moment! 7.3. Sometimes the passageway leading to the main door of some apartments are dim and dark. Should I look at areas with the most yang qi (light and openings?) as the frontage? Or that if we always close our main doors? Main door is a relatively small opening as compared to say the living room side often with bedroom windows at the same frontage? 8. The thinking FSMs logically de-link MAIN DOOR from the Frontage unlike that of the Conservatives. The key is to determine the FRONTAGE. And the understanding that it may not automatically be the MAIN DOOR. 9. Sorry for the long detraction. I am now coming to your point. 10. Since here, the MAIN DOOR is de-linked from the frontage. The Modernist would recommend: to use the property facing which is NE 2 or 46 degrees. In my opinion, I share this view-point. I based this upon careful understanding and logic. 10.1. If one is still an ardent fan of the MAIN DOOR, then I don't wish to argue until the cows come home. 11. 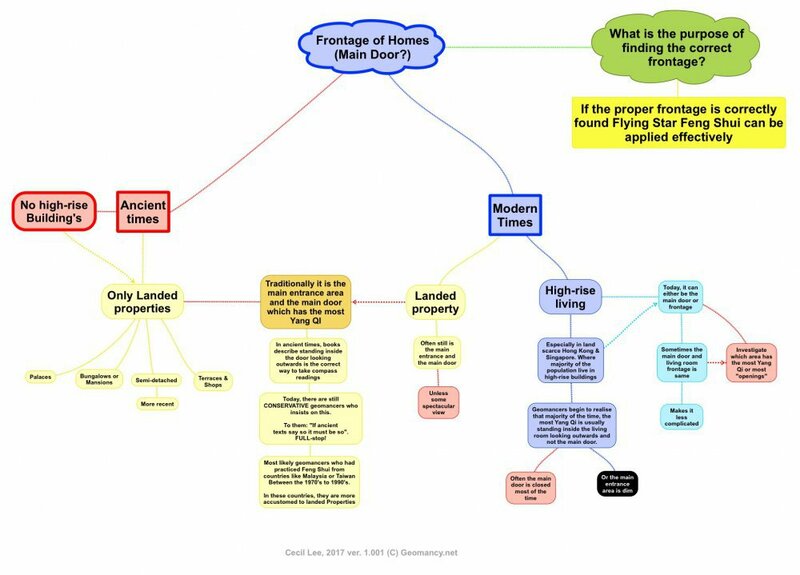 What is the key success factor in Flying Star Feng Shui? 11.1 "If the proper frontage is correctly found: Flying Star Feng Shui can be applied effectively"
12.1. How accurate is the compass readings? 12.1.1. Drawing the conclusion that the reading of NE1 of 35 degrees BETTER be accurate! Given that 1 degrees more and the home becomes a NE2 facing direction! 12.1.2. Where if one uses NE2, no matter how lousy one's readings are; there is a larger margin to "play with" although can still get the readings wrong.. but not as thin a margin as of 35 degrees. 12.2.2. 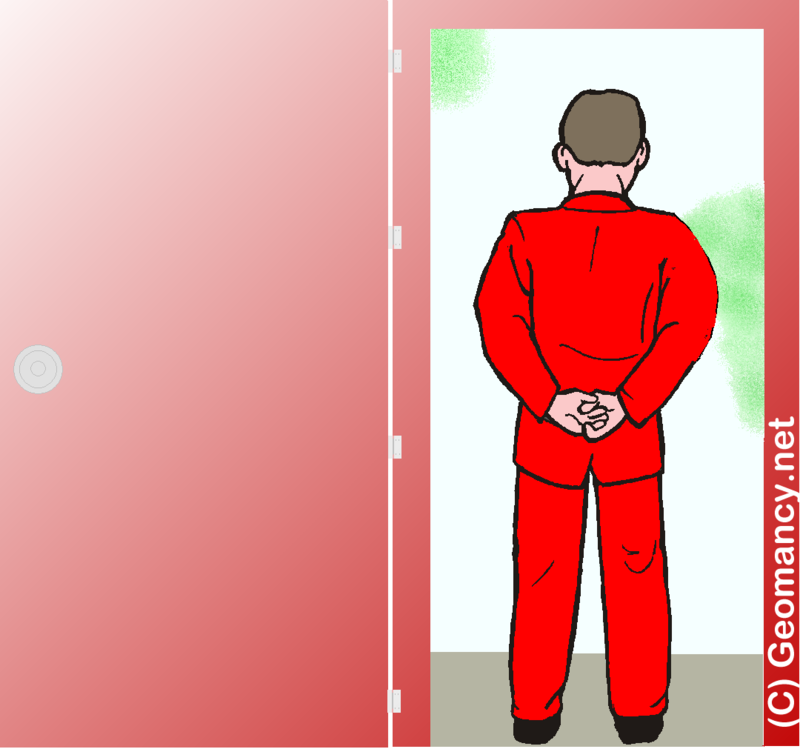 In general, a practical reason for tilting door has more to do with avoiding some kind of poison arrow(s). 12.2.3. For example, today, in America, many homes still do not have fencing or main gates to their home. And if the main door happens to directly face an obstacle such as a lamp post, then tilting of the door as advised by a FSM. Ideal answer for house facing. Thanks!